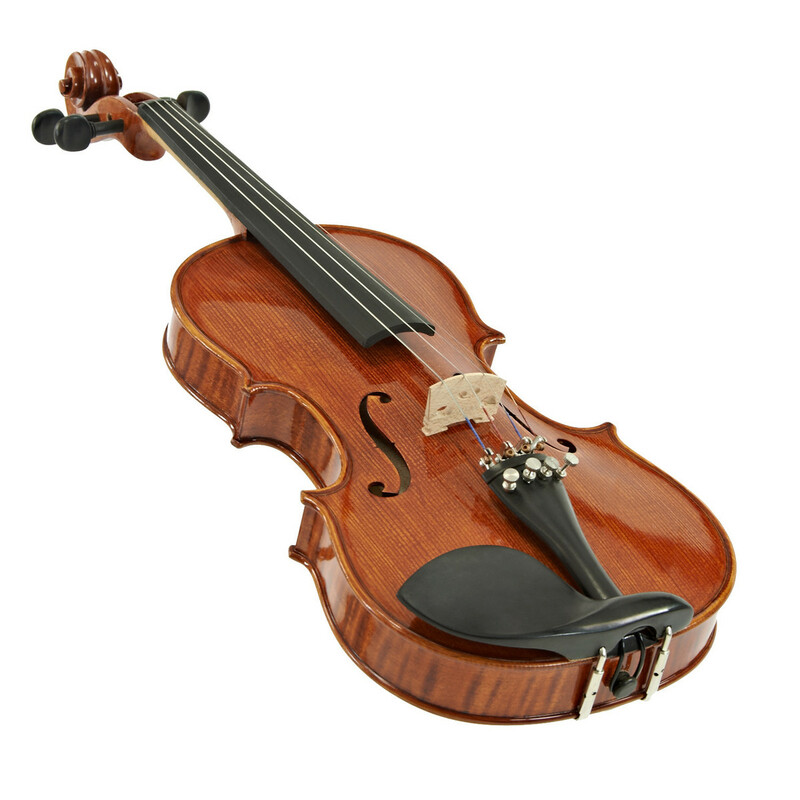 The Archer 14V-500 1/4 Violin by Gear4music is a perfect instrument for beginners looking for a great quality instrument or a step up instrument for students progressing through their grades. 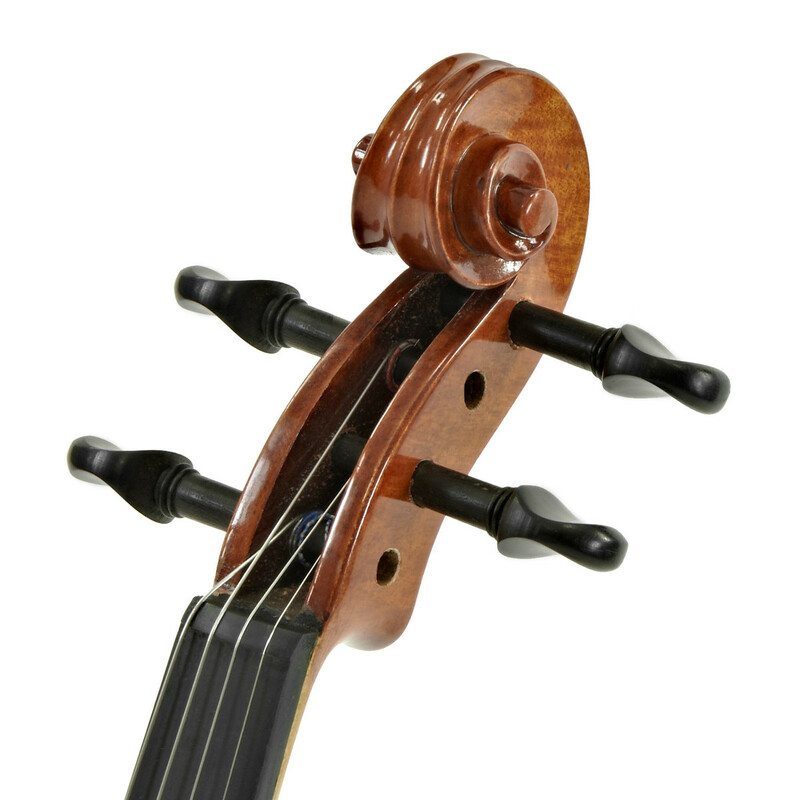 Made from hand carved solid woods, a maple neck and ebony fittings, this instrument compares with many of the top quality student violins for sale. 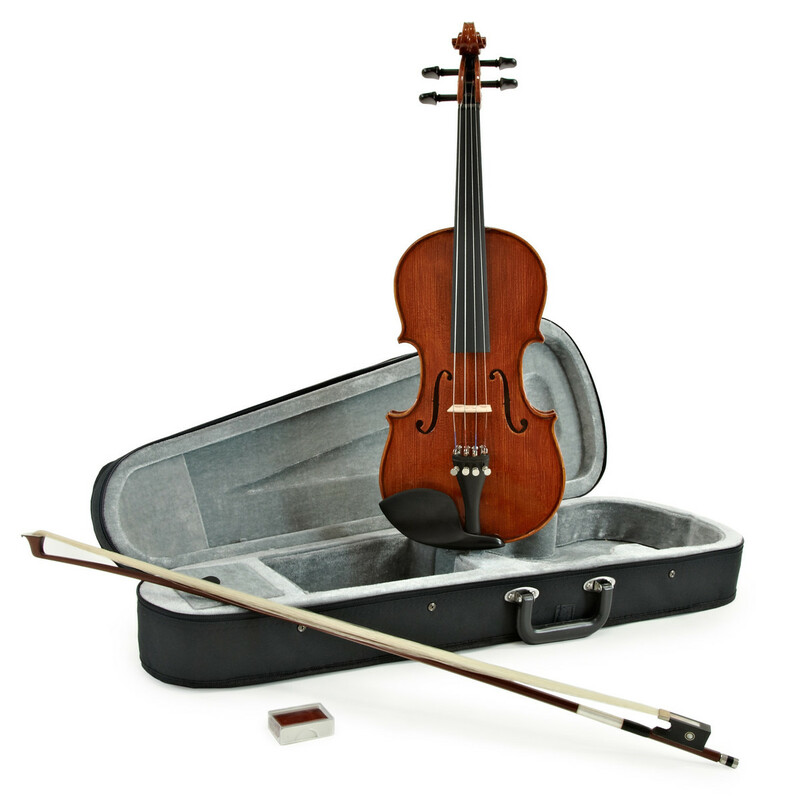 As well as this, the violin comes with a hardwood bow, rosin and a lightweight case, giving you everything you need to get playing straight away. 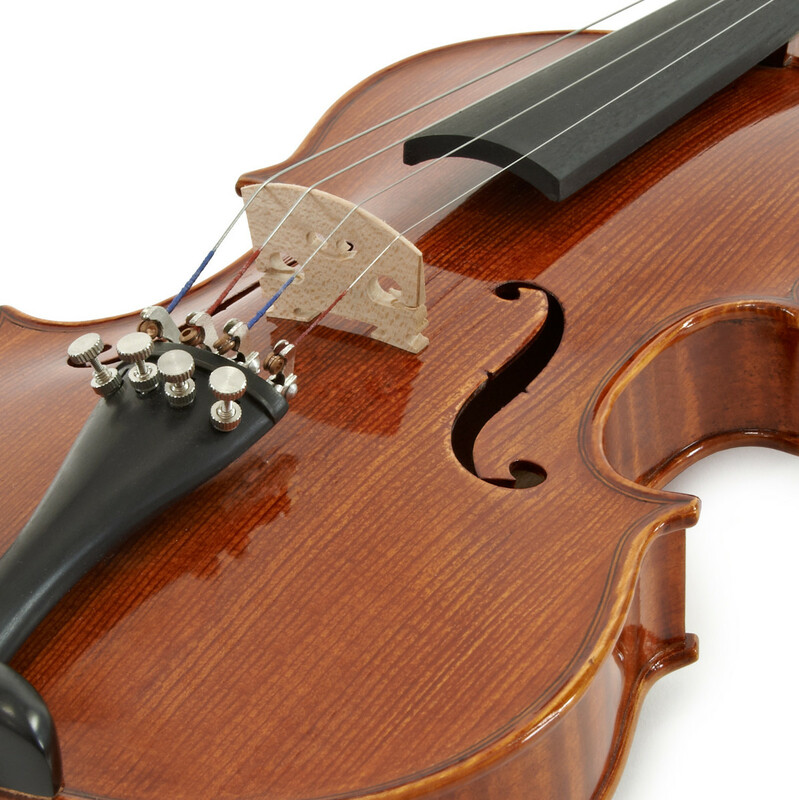 The Archer 14V-500 1/4 size violin is a premium instrument, ideal for advancing string musicians. 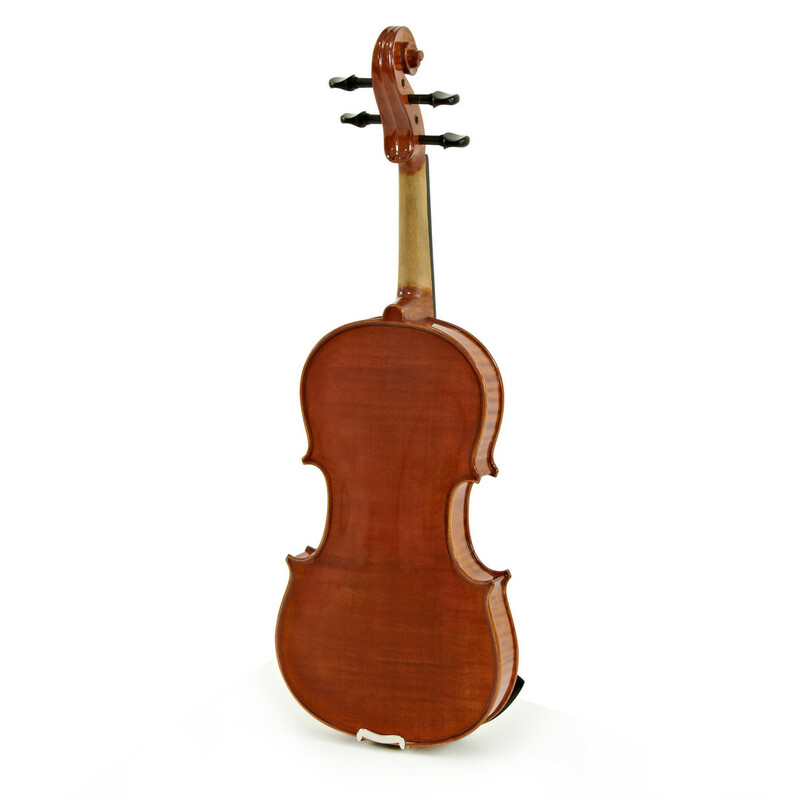 The 1/4 size is designed for 5-7 year olds to practice and perform comfortably. Featuring enhanced fittings and selected wood, the Archer 1/4 size violin has a classic look and a professional sound to match. With a premium spruce top the 14V-500 achieves superior projection and vibration. The maple back and sides are specially selected pieces of wood chosen for the 14V-500, to provide a professional and stunning body. The use of maple and spruce offers neutral tonal colour for a truly resonant, classic sound. As well as this, the 14V-500 is hand finished with a brushed on traditional oil varnish that allows the natural grain of the wood to show through. The Archer 14V-500's ebony fittings are hard and durable, with high quality tuning pegs, smooth fingerboard and sturdy tailpiece. Also featured is a maple neck with varnish gradient for improved playability and a high grade maple fitted bridge. If you're just starting out or are simply looking for a more complete set-up you may be interested in the Archer 14V-500 1/4 Violin + Accessory Pack by Gear4music which comes with a number of additional extras including tuner, rosin and music stand.